Unfortunately I can't see the on point layout (,unless I turn my tablet! !l) but those blocks look great and kinda remind me of cat's eyes!! I can't see the onpoint photo either. 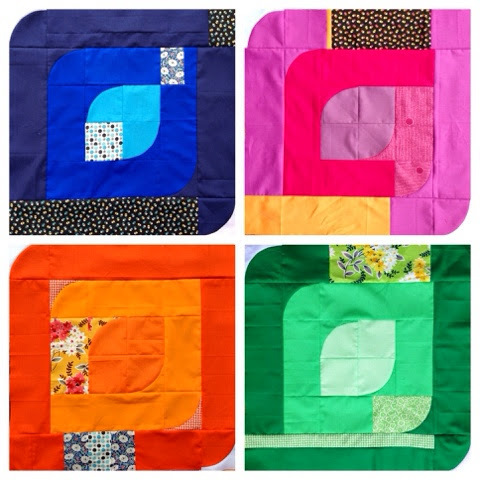 Love this quilt - the blocks are awesome!!! But honestly, I was expecting your quilt made with a Jolly Bar...hope all is well in your world!! I know you are crazy busy with all your wonderful creating! 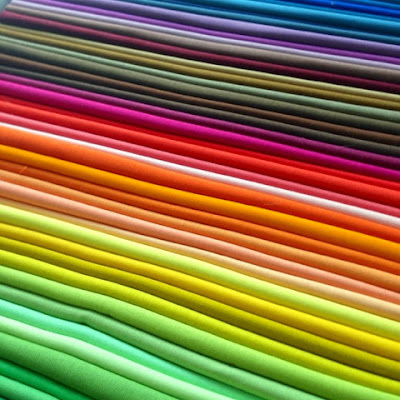 What a beautiful collection of solid fabrics! I just picked up a few Hadley bundles myself. It didn't catch my eye when it first came out but for some reason it's grown on me so much! I listened to you on Pat Sloans radio show (it was an older podcast but I've been working my way through the ones that interest me) and I am so impressed by how much you get done. You were right on the money with cutting out tv! It's such a time sucker and as much as I enjoy it, I can get so much more done when I turn the tv off! I look forward to seeing the progress on this quilt. I like the bits of scraps added in, really livens it up. Looks beautiful so far! 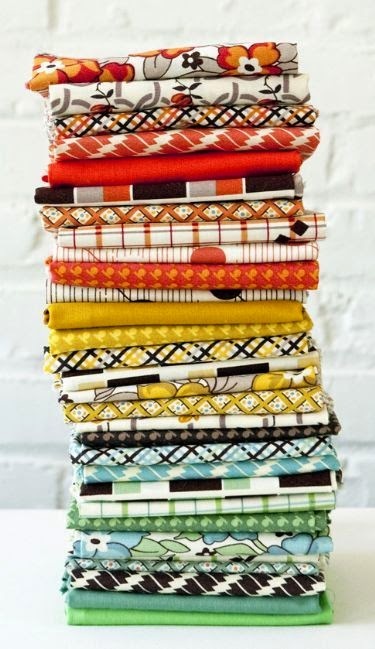 Loving that green print up there-- must have been in a collection before I started quilting. 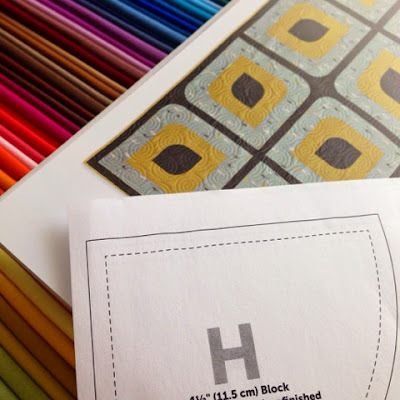 I can't wait to see the completed quilt! Lovely! Great idea to add in those prints for extra interest on these fun blocks. Can't wait to see more!